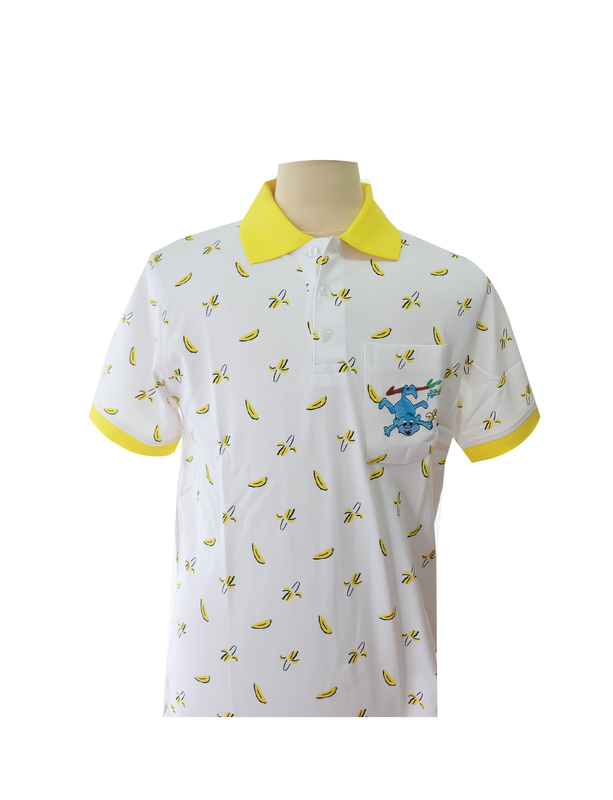 Yellow-collar polo shirt printed banana with monkey embroidery from HRH Princess Maha Chakri Sirindhorn’s painting “A monkey swiftly scamper”. 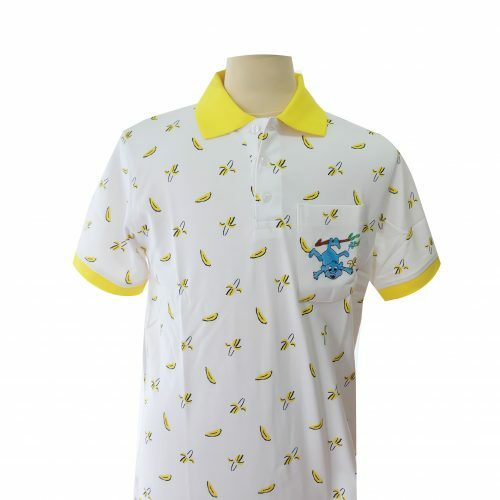 Yellow-collar polo shirt printed banana with monkey embroidery from HRH Princess Maha Chakri Sirindhorn’s painting represents her blessing through the year like “A monkey swiftly scamper” on the left pocket, made from 100% cotton printed pattern on the white fabric. of Her Royal Highness Princess Maha Chakri Sirindhorn.